This year's most popular crafty party? Flower crown making! So why not try our unique seasonal version to create chic autumnal crowns for your winter wedding. The seasonal version of our most popular crafty party. Create leafy autumnal headwear or chic pine cone crowns and be inspired by the changing seasons. 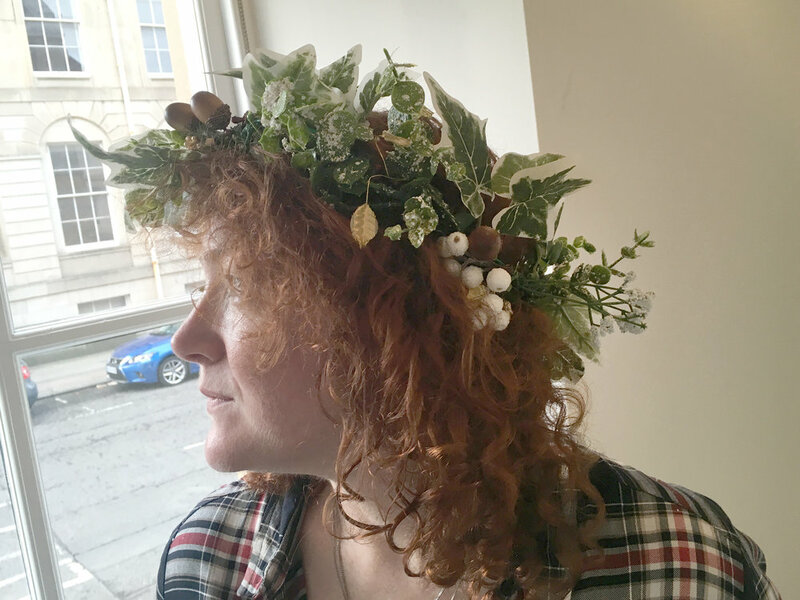 A twist on our ever-popular flower crown workshop, this session lets you create autumnal or subtle winter inspired crowns. 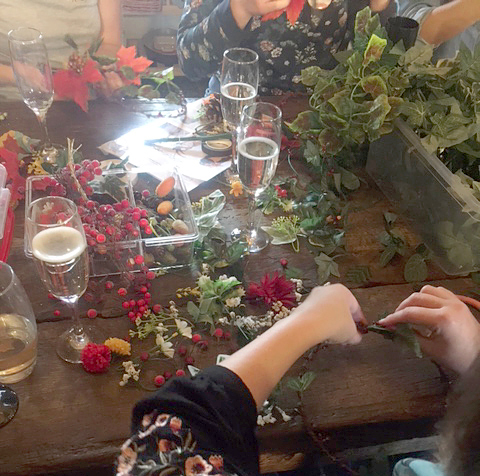 Create your own chic seasonal flower crown, perfect for an autumnal hen party, winter solstice wedding or even festive event. We will provide a bounty of high quality materials for you to dig into. Think festive faux berries, feathers, silk autumnal leaves, acorns, pine cones and lots more seasonal treats to inspire your stylish flower crowns. We'll help you structure your crown for shape, variety and a comfy fit! 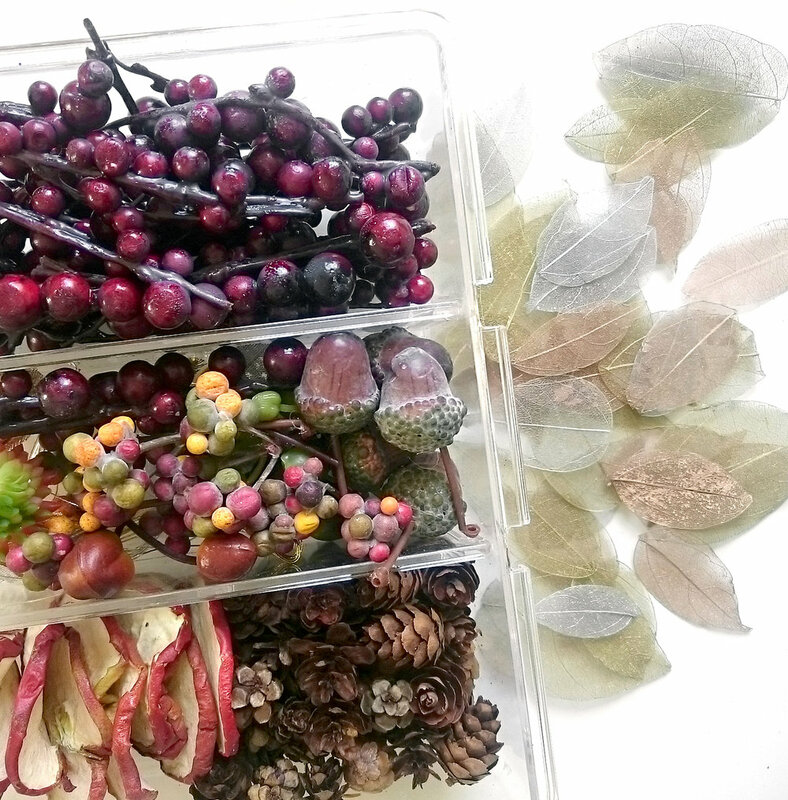 Everyone can select foliage, faux berries and crisp leaves to their preferred colour scheme and create to your own taste. Your crowns will mostly be made using faux materials, for a long lasting crown that can look as crisp as the day it's made for years to come. Let us know if you have any special requests to match a particular theme and we'll endevour to provide materials to match. Group Size: Minimum charge for less than 10. No maximum limit. Session includes: A wonderful selection of fake flowers, other materials, all equipment and expert tuition. Suited to: Anyone! Perfect for people with or without craft experience. For those who haven't done anything crafty before, we'll show you how and everyone will come away with a floral garland to be proud of! A massive choice of seasonal foliage to inspire you. The seasonal version of our most popular crafty party! We can adapt this session for many other occasions including marketing events and baby showers too. Our standard flower crown workshop is perfect to create bolder and colourful flower crowns. Perfect for a festival themed celebration.